The Taj Savoy is a well known hotel owned and run by the Taj Group of hotels. 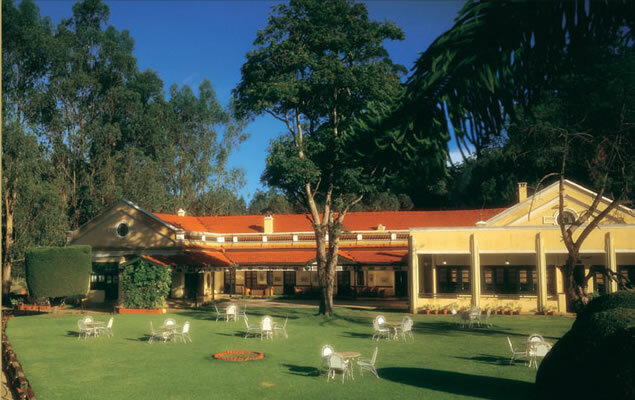 The hotel was built around 1856 and is located in the Nilgiri Mountains. The main town is just 2.5 kms from the hotel. The hotel also offers a beautiful and clear view of the surrounding areas. Taj Savoy is renowned for its warm hospitality. The hotel offers all the modern amenities and services for a comfortable stay. Taj Savoy Hotel offers a total of 40 Rooms. All the rooms are well appointed and equipped with modern amenities such as direct dial telephone facilities, channel music, color television with satellite programmed. Banquet, Bar, Conference Hall, Tennis, Billiards, Health Club, Meditation & Yoga, Nature walk, 24 Hours Room Service, Business Centre, Golf, Fishing, Jungle Trekking, Hot/Cold running water, TV, Direct Dialing STD/ISD Facility, Channel Music, Doctor on Demand, Broadband Facility, Laundry, Fax on Demand, Money Exchange Facility, Safe Deposit Box, Child Care Facility, Restaurant, Parking, Travel Desk Service.